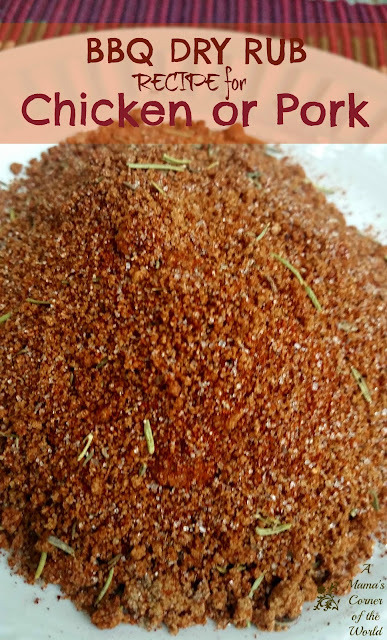 With leaves falling on the backyard grill in our little corner of the world; it may seem a little late in the season to post a grill friendly, BBQ spice rub recipe--but, you will thank me for it! After years of trial and error--I have found the perfect bbq dry rub mix for barbecued chicken (or even pork). I also use this rub for oven baked or broiled barbecue during the cold weather months--so I always have a bowl of this stored away in the kitchen. It's a little time consuming to mix up and you will probably drag out most of your spice rack ingredients--but, this recipe makes a large batch and it will last a while! It's also a mixing and measuring project that my youngest daughter loves--so I usually put her to work when it's time to mix up a batch! **I only use dried or powdered spices in this rub--none are fresh. Combine the ingredients. Combine all ingredients in a large mixing bowl and stir until completely combined. Press out all of the lumps from brown sugar and ensure that all of the spices are well blended. Store in a lidded container. Place the dry rub in a lidded container that is slightly larger than the amount of spice mixture created. This will give you room to give the mix a good shake before each use to ensure that the heavier ingredients won't settle out of the mixture during storage. I usually store it in a 2 or a Garlic . What sort of sauce works well with this dry rub? I often make my own barbecue sauce--it's a little sweet and smoky with very little heat. But, I also frequently use just the Original Sweet Baby Ray's sauce (or something similar in flavor and texture) with this rub. When it's time to use the rub--simply rub a liberal amount of the spice mixture onto both sides of the meat before grilling. 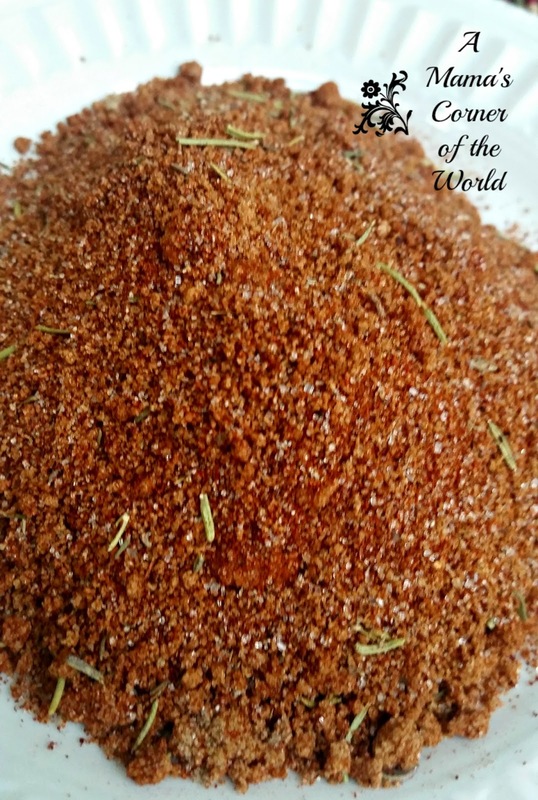 We love this spice rub on chicken and have used it often on pork ribs as well. It's always a hit! Affiliate Disclosure: Some of our post contain affiliate links and we may receive slight compensation if you purchase an item after following one of our links. We only link to products that we use and recommend in our posts.